The Q4 shopping season is here, and it’s important to map your promotions out to ensure that you’re making the most out of this time of year. 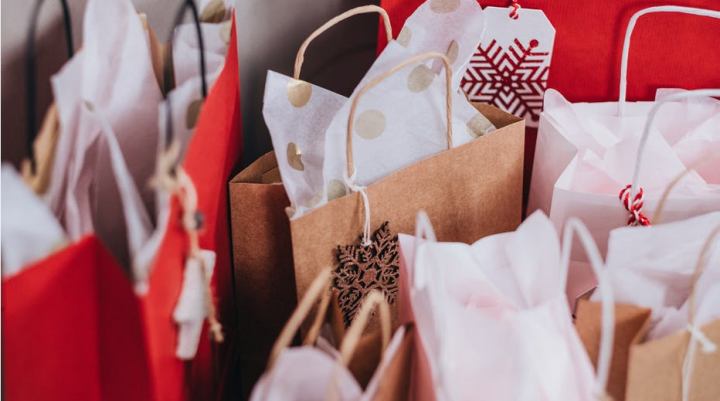 Shoppers in the last quarter of the year (due to Black Friday, Cyber Monday, and Christmas) love saving money and become more deal-focused when shopping. 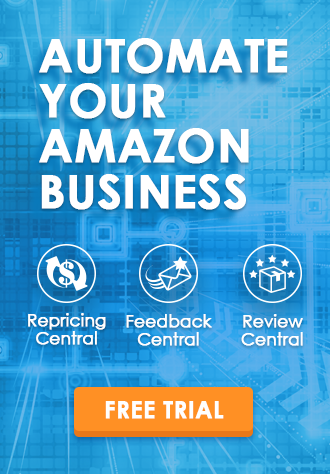 Therefore, it’s a perfect time to take advantage of this high volume with the feature – Amazon Seller Central Promotion. This is a great way to quickly boost your sales and create brand awareness even if you haven’t been invited to participate in Lightning Deals. 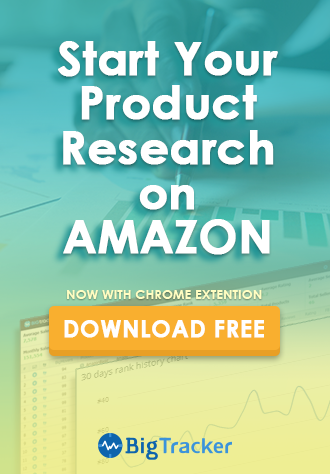 Below is the list of the available Amazon Seller Central Promotion, along with some tips to help you to determine which of the Amazon promotion types best suit your products. Create a custom promo code and receive a unique marketing page to share with customers through social media, emails, or influencer marketing. 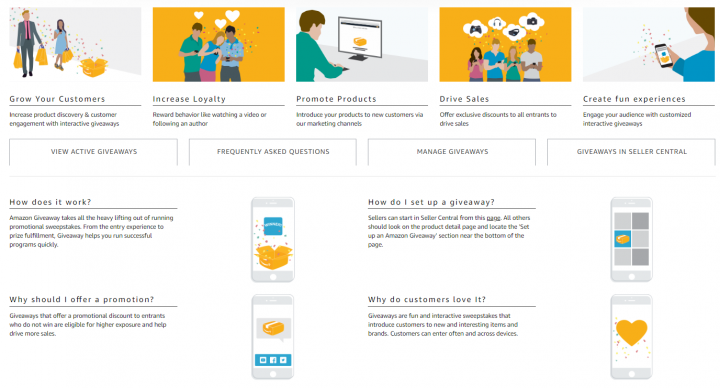 You control how to market the promotion and how many units and transactions customers can redeem. 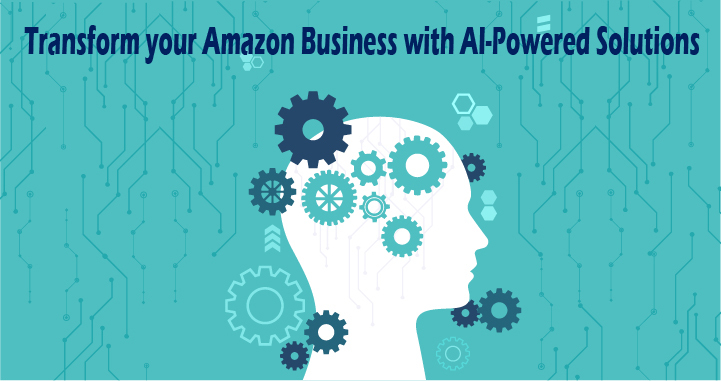 This promotion is one of the newest released among these promotion types (at the end of last year) and is currently available on the U.S. marketplace only, for sellers enrolled in Amazon’s Brand Registry program. 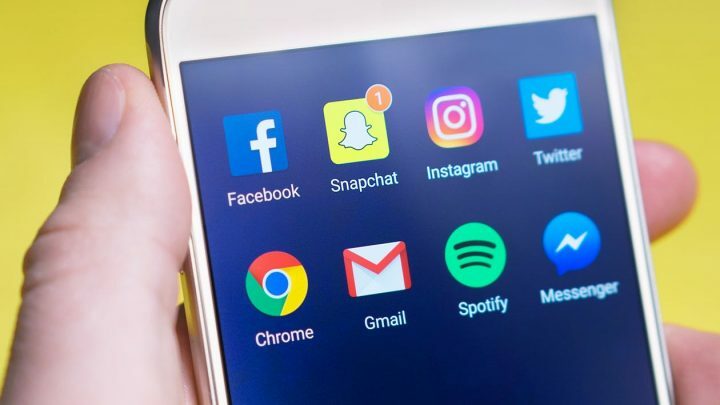 You can use this promotion to increase your social media presence, encourage sales, improve product visibility or direct traffic from outside of Amazon. You can create a buzzworthy pre-Black Friday sale promotion via social media or via email to drive traffic and peak interest before Black Friday officially arrives. Set up a limited-time, free shipping offer for a subset of your catalog (no Buy Box impact). To set up a free shipping order on your entire catalog, consider changing your shipping settings (impacts Buy Box). Additional shipping charges can increase customer hesitation before making the final decision to purchase. Free shipping in here is only available to FBM products, which is a good way to reduce shopping cart abandonment and minimizes purchase risk when you introduce a new product to your customers. Use Advanced options to set up a promotion with a tiered discount structure to encourage the customer to buy more to receive a greater discount (no Buy Box impact). To discount a single unit purchase, consider implementing a limited-time sale price (impacts Buy Box). 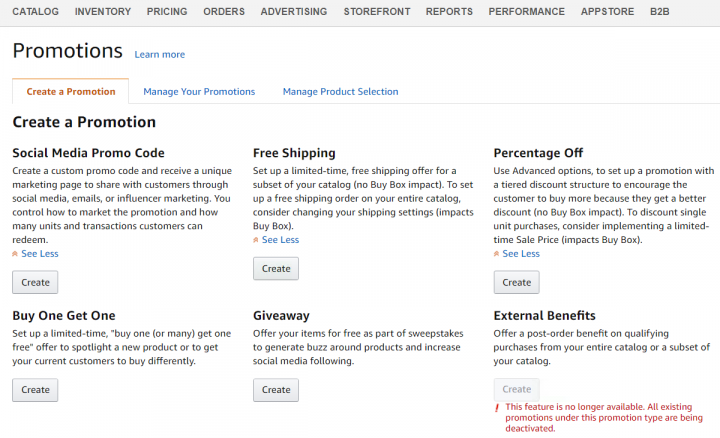 Percentage off promotion is frequently used on the Amazon marketplace. 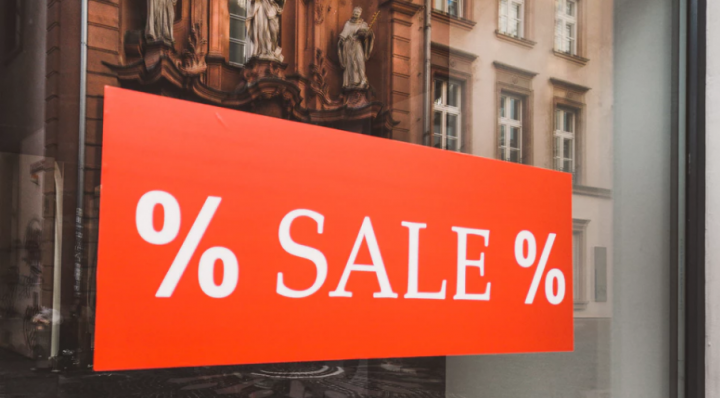 You can provide a small percentage off (such as 10%) for best-selling or seasonal items to loyal customers, or significant percentages (such as 50% or more) to purge old or slow-moving inventory to dominate your competition in the race for sales. Set up a limited-time “buy one (or more) get one free” offer to showcase a new product or to get your current customers to buy differently. “BOGOF” or “BOGO 50% off” is a great way to clear out and move inventory fast, and it’s also a great way to generate more cash, because people have to buy more to get the offer. If you don’t need run a promotion for your products due to few competitors in the market, maybe you can consider to offer a limited-time BOGOF offer as a “treat” for your loyal customers and appeal to potential buyers during this time of year. Offer your items for free as part of a sweepstake to generate buzz around products and increase your social media following. Who doesn’t like FREE stuff? Amazon’s Giveaway promotion is a good way to attract targeted leads and help to better your brand appearance and customer interaction. You can reward your followers with giveaways, which can be an effective way to engage your audience with this entertaining experience. 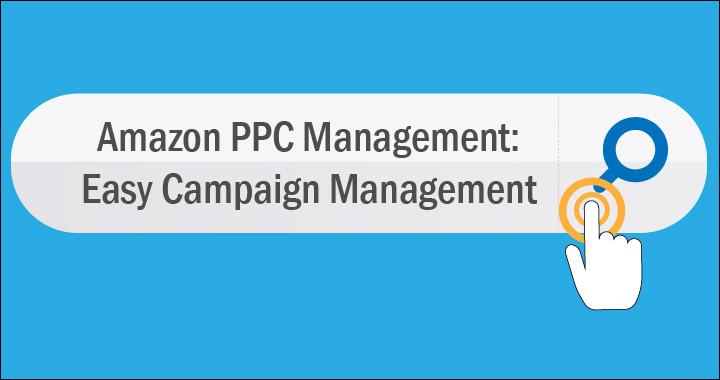 When creating holiday promotional campaign for your products in Amazon Seller Central Promotion, you can analyze which campaign worked well and compare the performance to previous years, to see if it is necessary to add a promotion to all of your products, and what you want to offer to draw shoppers into your store. BQool’s Repricing Central software can fuel your business growth as you are running promotions for your products for this year’s Black Friday, Cyber Monday, Thanksgiving and Christmas! For a limited time only, BQool is offering an upgrade to the 5-min Accelerated Repricing plan for up to 10,000 listings for just $75 /month instead of $100 /month!! This is a 25% discount to help you to stay ahead of the game with a greater chance of Buy Box ownership! 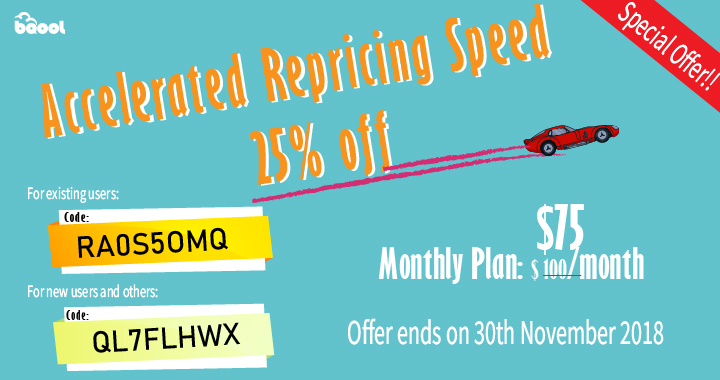 Enjoy the discounted price for 3 months! Offer ends on 30th November 2018. Redeem your voucher code today! This offer is available to both new and existing customers. *Upgrade available to those currently using the Repricing 7,500 plan or below.